This entry was posted in Gluten Free, Paleo, Sweets + Treats, Vegetarian and tagged erin, gluten-free cobbler, gluten-free dessert, grain-free cobbler, paleo cobbler, paleo dessert, real food cobbler by Flax + Honey. Bookmark the permalink. Just bought a bunch of delicious peaches and was wondering what to do with them before they get too ripe…now I know! Thanks! Erin, what a loving blog I woke up to this morning! Thank you so much for your thoughtfulness. We had such a great time with you and your littles. It was such a breeze to share vacation with people who eat the way we do. 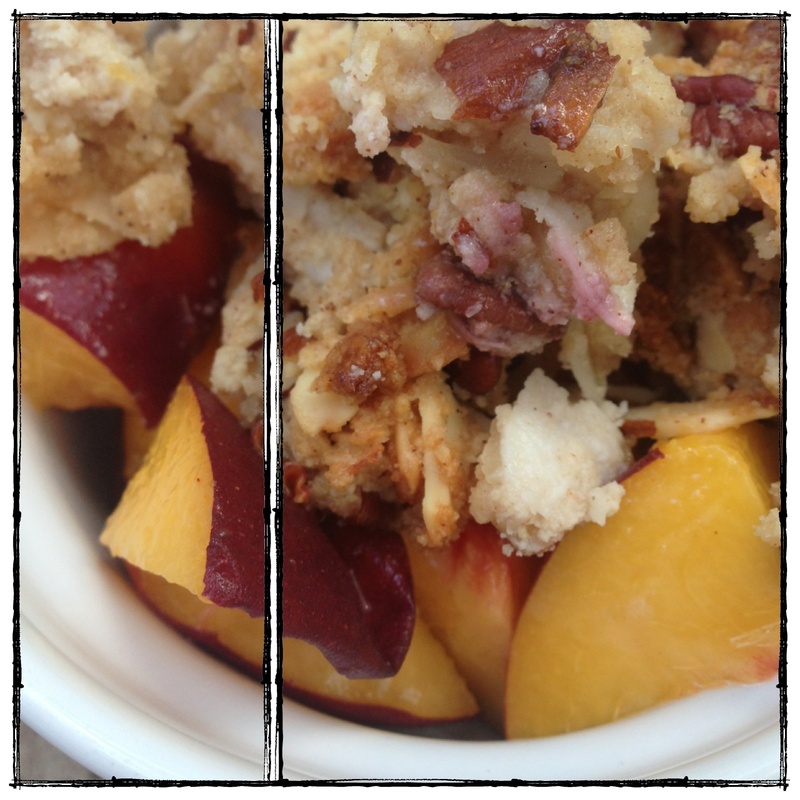 So fun to see our peach cobbler blogged! Nice job! Glad you are enjoying it so much. Give Jacquelyn and Owen a hug from Nana Elaine and Papa Phil. This is sooo delicious – made it this weekend on vacation and it was a hit! I put peaches and blackberries like Erin recommended. I made 1.5x the recipe and put it in a 9×13 pan. The leftovers reheated in the oven the next night perfectly!